Colormanagement. Three water taps symbolising the cmyk settings of a printer. 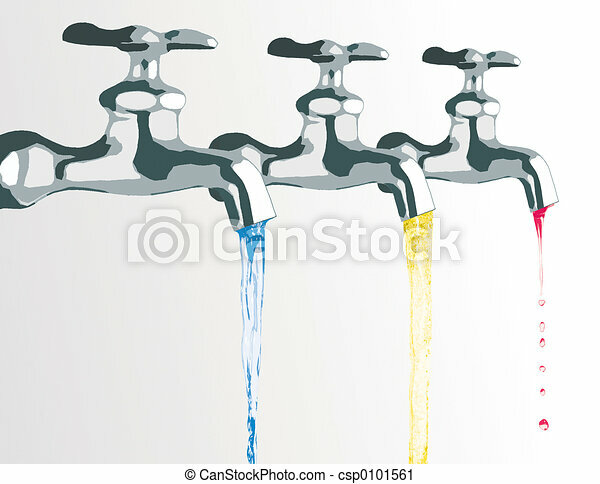 Three water taps symbolising the CMYK settings of a printer.